When the situation on the ground is constantly evolving, warfighters must be certain. When they are engaged in a firefight - and even more critically when civilian lives could be in the line of fire - they must be absolutely certain. In what is often a split-second decision, the ability to deploy and use a tactical precision weapon can mean the difference between mission success and failure. But while enabling technologies and weapons such as laser-guided missiles, “smart” bombs and GPS-guided artillery shells have dramatically improved the accuracy of strikes against enemy targets, commanders and troops on the frontline lacked a lightweight man-portable solution capable of rapid deployment and precision strike while minimizing collateral damage in hostile environments. Our solution–Switchblade®, AeroVironment's advanced direct fire tactical missile system with high precision and wave-off capabilities. 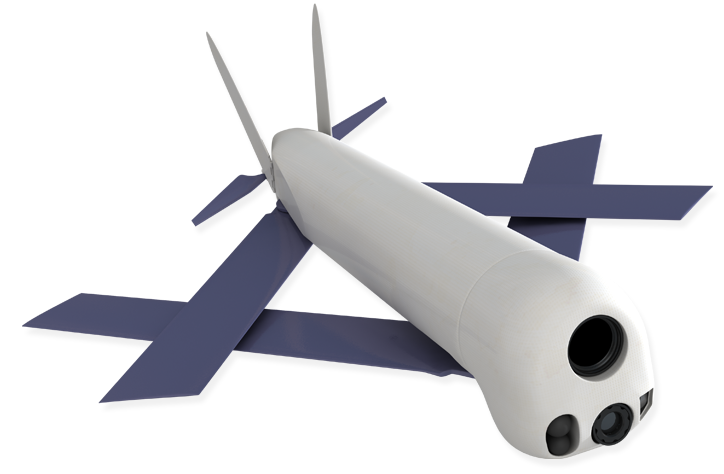 By embedding a precision lethal payload into a remotely controlled, man-portable delivery system, Switchblade® provides warfighters with a valuable and more cost-effective alternative to existing airborne and land-based missile systems. Such a rapidly deployable and precise solution also addresses emerging requirements for use in other types of situations, and from a variety of sea, air and land platforms. When the mission requires a proven “Direct Fire Tactical Missile System” solution with low operational cost, wave-off capability and a small footprint–there is now no better choice than AeroVironment’s family of Tactical Missile Systems, and no more strategic way for our frontline armed forces to proceed with certainty.